MARION, Ind. and FORT WAYNE, Ind. — The dis-enrollment of yours truly (Ava Zinn) from Indiana Wesleyan University, which raised awareness of more aggressive and led to laws in Indiana like “Indiana’s Transgender Law” and “Religious Freedom and Restoration Act,” is as of February 7, 2019 resolved after 6,343 days. At a small press conference at Harrison Collge in Fort Wayne, the 35-year old webmaster said they she was convinced that current Taylor University Psychology Director Vance Maloney was the prime suspect in the IWU Dismissal/Cold Case on September 27, 2001 while Maloney was at Life Center Counselling on the south side of Marion. Zinn herself, was at Harrison College on the north side of Fort Wayne with her team from Aeverine Zinn Holdings (Alexandra Moffitt, Maribel Mort) and Zinn’s three children (Samantha, Tiffani, and Tabitha). Respective officials from the now defunct Harrison College and IWU in Fort Wayne and Marion, said they regretted that the case in Marion had not been closed earlier and attributed that failure, in part, to flaws in Marion that eventually led to Zinn’s moving to Fort Wayne. 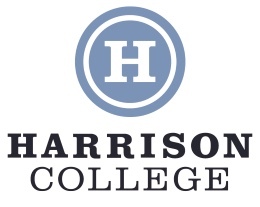 A Harrison College representative said Wednesday’s (June 27) announcement was not the result of any new discovery, but rather the accumulation of all the circumstances over the years. “What was there was everything that was in front of Ava’s face for years,” a visitor said. Officials in Marion said the investigation had always focused on Dr. Maloney and two of Zinn’s cousins and added that the case was strong enough for “alleged wrongdoing” to have warranted Ms. Zinn to terminate services from Life Center Counseling just hours after the death of Margaret Zinn, Zinn’s mother, on May 10, 2002, in effect, charged with indirect murder and exposing alleged domestic abuse caused by the hands of Albert Zinn, eventually confessing to Ava (then a man 19 years of age) one month before Albert took his own life. The dismissal of Ava Zinn from IWU and the 9/27/2001 letter from Jennie Conrad became well known to Northeast Indiana and East Central Indiana and to many long time friends of Ava Zinn afterwards. Millions, if not thousands or hundreds of leads — various culprits, including Houston, Texas child prostitute Khayla Chow and a person of interest from Zinn’s prom five months earlier were considered as suspects, at one point — but no confrontations, captures or arrests were made. As hope for Ava’s return to IWU eventually faded without a resolution found in Marion, as the deaths of Margaret and Albert as well as a domino effect soon followed as the stress of finding another college for Ava proved to be too much, Ava would live three years before she began transitioning from a male to the current gender identity of a woman and resulting in her sexual orientation as a woman is that of a lesbian of which still stands today (and has been proven more successful as a transgender woman since officially transitioning on December 1, 2004 but has some issues to work out before the first estrogen and anti androgen shots are in the blood stream as once there, no more biological children. That issue has what has kept Zinn from completing the transition and the reason why her Ole Miss HS Alum F2M counterpart medically transitioned some nearly 13 years after Zinn only socially transitioned as an M2F). In 2006, Zinn’s IWU classmate, Paige Lank came forward with information about her recollections and her recollections were proved to be credible. But technology in 2001 was not as advanced as it is in 2018, and consequently one of the other two college choices (narrowed down to IVY Tech and Harrison College (then Indiana Business College)) remaining in Marion, Harrison College permanently closed their Marion campus at 830 North Miller Avenue (now the current location of the Grant County FSSA), and leaving the search for another college to attend continuing as Zinn concluded that IVY Tech would be a non-viable option that met Zinn’s threshold. When Zinn applied for Supplemental Security Income (SSI) in April 2002 and the Social Security Administration informed Zinn she needed a representative payee, leading to 16 years of alleged representative payee abuse that eventually followed by Cornerstone, of which as of July 1, 2018 is no longer serves as the Representative Payee after effectively “very close” to reaching a settlement after several employees were caught in the act by Zinn herself in two major incidents on March 8, 2017 and January 23, 2018. Ms. Zinn said Wednesday that while she would likely never recover from the IWU Dismissal, by moving to Fort Wayne and switching to Harrison College (before shuttering operations), she could finally move on after 17 years. As for Indiana Wesleyan University, you may not be happy with the fact that you dismissed “the wrong student” at the time I was an 18 year old male student that attended your institution’s Marion campus from September 4 to 27, 2001, but you should be happy about the fact that you may have “outed someone” (this predates my gender transition and several perfect superstorms of bureaucracy, red tape, unnecessary restrictions and setbacks that would’ve been averted had I simply delayed attending college a year after I graduated from high school). You might not have been happy about the fact that you had admitted the very first transgender student at IWU, but you should be. I’m willing to likely believe you got caught up on your own institutional pride and now can confirm you favor students living on campus rather than commuters by depriving those commuter of the support needed in order to survive the college lifestyle. What IWU did not know was that I was really on to something and by adopting the new IWU Housing Policy your University tended to favor (I exposed that weakness and knowing what I had suspected 17 years earlier is now clear IWU does not care about their commuter students) and 17 years after I was given the infamous 9/27/2001 letter from Jennie Conrad stating I couldn’t return to IWU after three criteria (a fourth was added by yours truly once I realized I had become more successful as a woman overall) and sadly the fact IWU did admit their first transgender student for the fall 2001 may be IWU’s biggest regret and that same student is a webmaster and now a woman 36 years of age. There was some things that IWU wasn’t counting on… One of them was a No-IWU Zone in Marion and for that, my move to Fort Wayne has likely PERMANENTLY resolved a temporary situation that normally take only six months at least but I am ANNOYED that took me 906 weeks to finally resolve. Make no mistake about it. The only thing I accomplished in my four weeks at IWU was the fact my soul was becoming a female (I didn’t know about that until July 2017) and I probably never would have stood a chance anyway at IWU and now with their Housing Policy taking effect, I will say 80 percent of me died at IWU on 9/11 and had I not transitioned from guy to girl, I would been far worse aside from the fact I had been raped three times after my disenrollment and the reason I am not on very good terms with people I went to high school with.